Five more 5-FOOT FUROTICON ART BANNERS up for sale! Are you ready to get your hands on some one-of-a-kind 5-foot Furoticon art banners? We've saved some of the best for last! The final five banners auctions are up now! Once these are sold, they're gone forever, so don't wait! Wahid, Bokeh, and Tsou celebrate their successful heist! Sukouri enjoys her days as an elite courtesan! A Jackal braves the Kemah Karah desert to deliver your package! 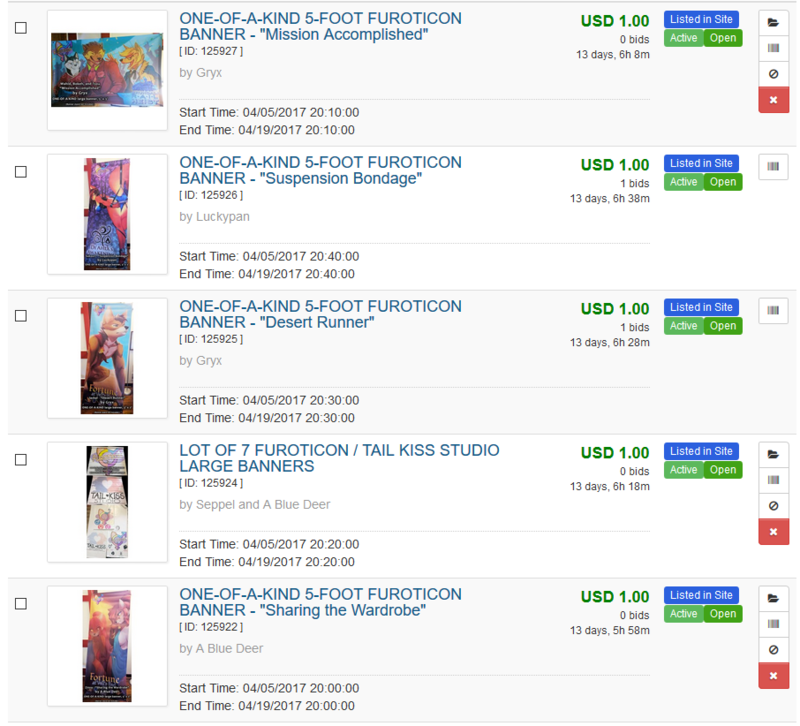 All the Tail Kiss Studio and Furoticon banners and table runners! Zinna tries out her girlfriend's wardrobe! These auctions end April 19th! The Jackal! I remember seeing him when signing up to play in some of the games. Well, I'll keep an eye on these, too, but they'll probably get snatched up faster than the other ones! What are the banners made out of? Plastic or paper or something else? ooo... i deff want some of these. Page loaded in 0.0305 seconds.